Does Xi Jinping trust Trump enough to get on a plane and seal trade deal? 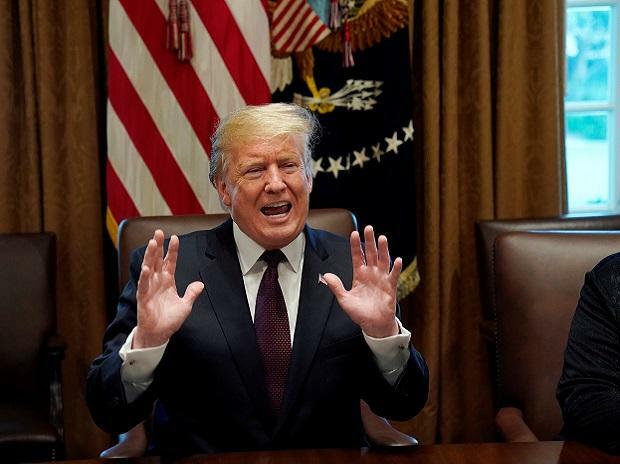 President Donald Trump on Friday said the United States and China are close to entering into a trade agreement and something very "monumental" could be announced in next four weeks. He also said that a summit meeting with Chinese President Xi Jinping would take place only if a deal is finalised. Top Chinese and US officials are meeting here to reach an agreement after the world's two biggest economies entered into a trade war and imposed tariffs on more than $360 billion in two-way trade. Trump has been accusing China of indulging in unfair trade practices, like the theft of US technology and massive state intervention in markets, contributing to the huge trade deficit amounting to $375 billion. Last week, negotiators from both the countries met in Beijing. "The deal is coming along really well. We'll probably know over the next four weeks. It may take two weeks after that to get it papered, but I really think that, over the next fairly short period of time, we're going to know," Trump told reporters in the Oval Office of the White House during his meeting with the visiting Chinese Vice Premier Liu He. "It's looking very good. A lot of really good things have been negotiated and agreed to. I would really say, and I say it again, a lot of the most difficult points that we didn't think we could ever do or we wouldn't agree to, on both sides have been agreed to," he said. The two sides, he said, have negotiated some of the toughest points, but there are still some ways to go. "I think we have a very good chance of getting there". Responding to a question if he was looking forward to meet Xi, Trump said the summit would take place only if the trade deal is finalised. "I look forward to seeing President Xi. It will be here. If we have a deal, then we're going to have a summit. If we don't have a deal, we're not going to have a summit. But there's a very good chance that we'll have the summit," said the US President. When asked what is coming in the way of the deal, he said "It is enforcement. We have to make sure there's enforcement. I think we'll get that done. We've discussed it at length. I think we're going to get that done". "We're getting very close to making a deal. That doesn't mean a deal is made, because it's not, but we're certainly getting a lot closer. I would think within the next four weeks or maybe less, maybe more -- whatever it takes -- something very monumental could be announced," the US President said. Chinese Vice Premier Liu said that the two countries have made great progress. "I do think that because we got direct guidance by two great President Xi and President Trump," he said. Senate Finance Committee Ranking Member Ron Wyden in a statement asked for a strong trade deal with China. "We've had nearly two decades of broken promises from China. Any deal that fails to address the core trade cheating by China - theft of intellectual property, forced tech transfer and state-owned enterprises - will be a loser for American workers. Donald Trump must not settle for a short-term political deal that doesn't include real, enforceable ways to hold China accountable for its promises," he demanded. Senator Lamar Alexander said that Trump deserves great credit for asking Xi to control all forms of fentanyl. Fentanyl is an opioid used as a pain medication and together with other medications for anaesthesia. It is also used as a recreational drug, often mixed with heroin or cocaine. "China's decision to control all forms of fentanyl is the single most important thing that could be done to reduce flow of fentanyl in the US," he said. Chinese regulators have announced that a wider range of fentanyl derivatives would be declared controlled substances in China on May 1. Meanwhile, a bipartisan group of Senators introduced the Fentanyl Sanctions Act - the first-ever fentanyl sanctions bill - that would apply pressure on the Chinese government to honour their commitment to make all fentanyl illegal and provide the US with more tools and resources to go after illicit traffickers in China, Mexico and other countries. The legislation would require imposition of sanctions on drug manufacturers in China who knowingly provide synthetic opioids to traffickers, transnational criminal organisations like those in Mexico who mix fentanyl with other drugs and traffic them into the US and financial institutions that assist such entities.